Indeed. Cold beer in my fridge..
For a rainy day, Bear..
Shame to see it (mostly) done and gone..
You are right, Mr Bear, so the experts say - why pod filters usually cut power levels..
A short length of s/s tube between filter and carb helps, apparently, to smooth out air flow. 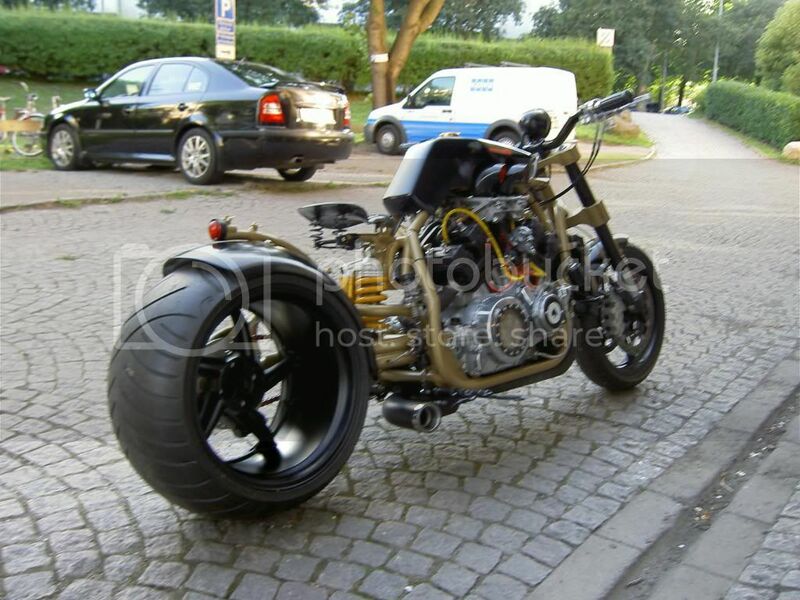 I suspect the length varies on the carb/engine - on the VMax, the best length is 80mm! 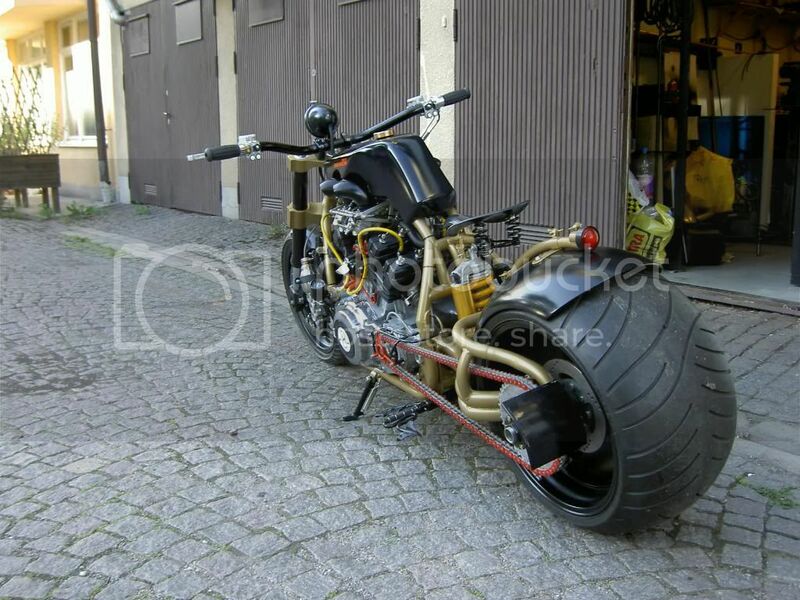 Often bemused by people's definition of 'chopper', 'bobber' 'custom' etc. Common sales technique - reinforce the 'unique' experience you will get if you own one of (insert item here). Sometimes I think that I like the 'idea' of riding (when I neglegt to ride my bike very often, that is). Heard nothing but good things about Mike's work - well engineered, and well built. Like the sound of a really powerful gocart! Interesting, a lot of work in that. 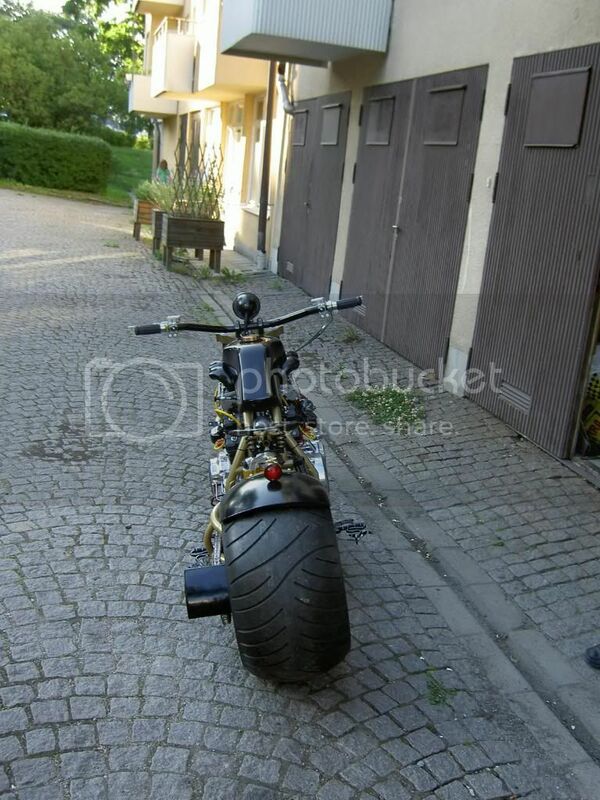 Reading the write up on the Night Rod Special, evidently the key to cornering a bike with a big rear and small front is to come into the corner gently, then put the boot in on the way out. Not sure the Trumpy has the power for that though..
All good, something to remember though. One wind turbine @ 2Mw = 2000 1kw solar systems. And there are becoming more available grid interactive, low noise wind turbines for domestic use..
Topic: What bike should i use to build this? Re: What bike should i use to build this? I have seen a few that use a CX500 (maggot) Shadow tank, for something a little different. And Prof could build a seat easily enough..
Would think that they are cast iron, Prof - not sure, would suspect they are quite brittle. Bearing in mind that when lifting they (should) be supporting a load by compression, not torsion or bending so much..